And this a whole different kettle of fish. Gaelforce runs are off the road, over the hill and somewhere far off by the sea in a league of their own. Where I enjoyed a flat and even course in Iceland, the Howth Summit had me duck under trees and wade through bogs. And wet. Wettttt. The day was wet, okay? We enjoyed thematically-appropriate weather. Yeah, so Gaelforce hold their runs on rough outdoor trails. 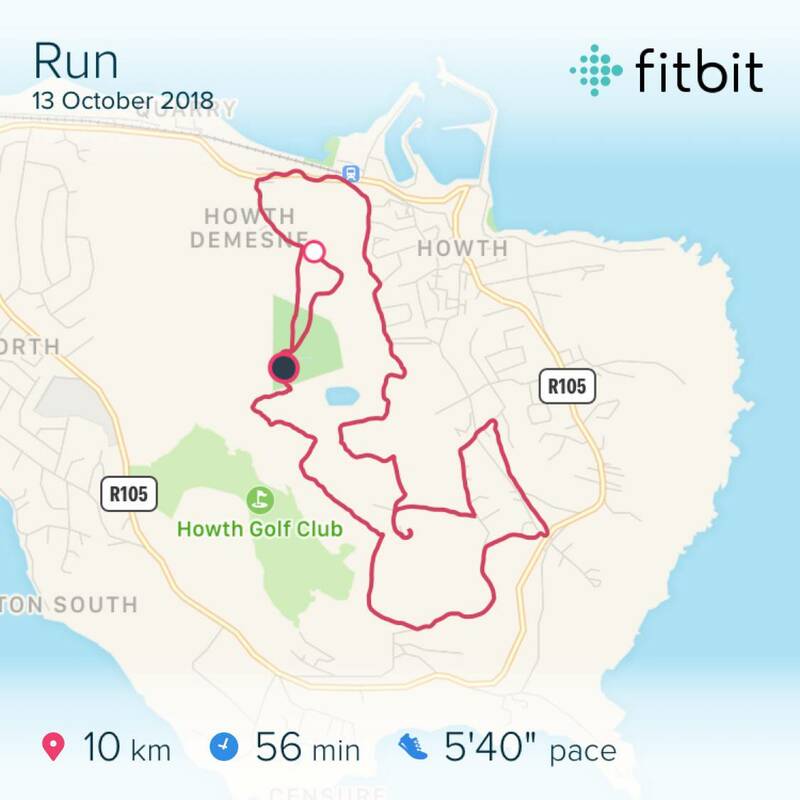 The course at Howth went straight from Deerpark into the forest above. Then through the beautiful temperate rain forest and out onto the bogs on top of the Head. After that the course completed its first third with a drop down by road to the Summit pub. On the way down I fell in with a group of other runners (hey o/) and we chatted for a bit about the tough course. That was a great boost, a lovely bit of community on the road. The second leg of of the course brought me back up to the antenna mast at the summit for a second time before it dove hard into brush and bog again. The final leg of the run was a sharp descent through town to the main road and to the finish at the Deerpark club house. 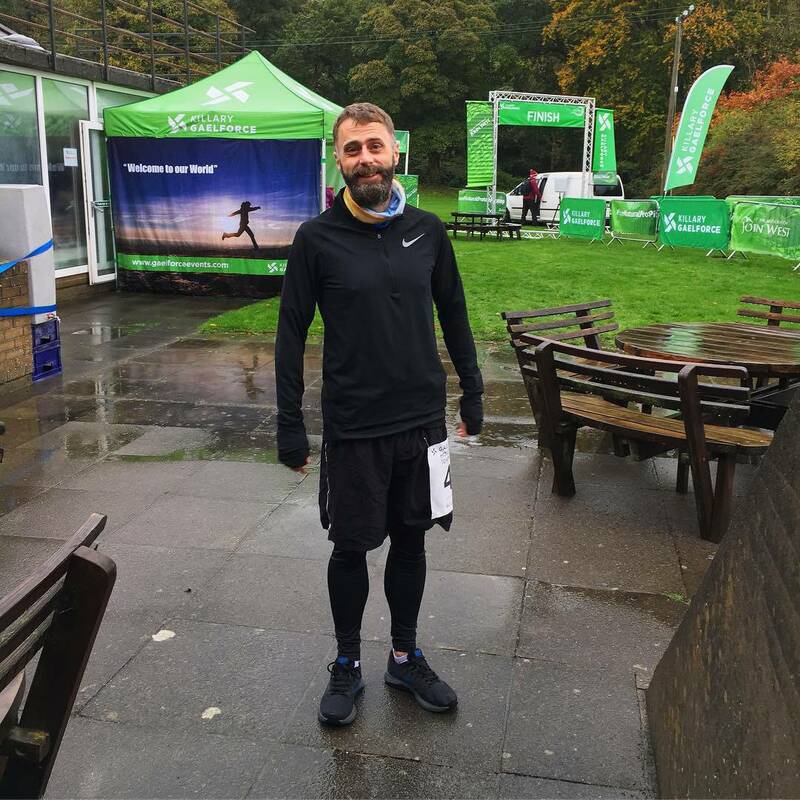 On Saturday, far more than any other recent run, I had to push myself to finish. By the end I kept my eyes down at my feet. I didn’t want to know how much farther I had to run, or who was about me. All I wanted was for my feet to move as fast as they could. Right after I crossed the line my legs gave out. It took a bit hug from my companion (and a runner pinking up) to get me back on my feet. I found the going to be brutal in parts, and that before a day where the wind blew and rain fell. It was bad enough that I had slow down and walk twice for the sake of my injured knee. We all had to work hard on the day. When I look at the results I get that I finished halfway down my wave (wave 1), but finished in the top 20%. That feels brilliant to me. I’m happy that I competed and proud that I did so well by my own standard.